As we become more aware of the benefits of going organic, we’re realizing that it’s not just about consuming organic foods and avoiding harsh pesticides on what we eat. We are also shopping for organic skincare and cosmetic products to avoid harmful chemicals we place on our skin and body. But have you thought about the benefits of organic bedding? Organic bedding, specifically organic cotton, is a healthier option which is manufactured without harmful chemicals and is healthier for the planet. 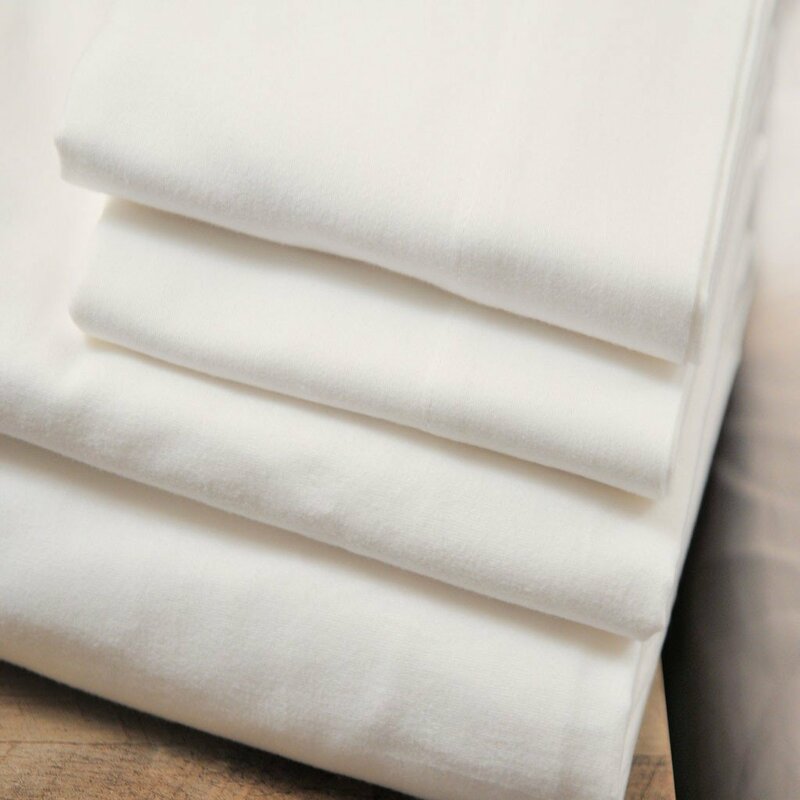 Organic cotton isn’t treated with the toxic chemical pesticides or harsh chemical cleaners and fabric treatments that conventional bedding can be exposed to and it takes less water to produce organic cotton compared to conventional. Organic cotton farming uses zero toxic pesticides ensuring a safe working environment for workers. Non-organic fabrics are made with harsh chemical additives, like wrinkle resistant treatments, that release formaldehyde. It’s also wonderful for people with sensitive skin since it isn’t processed with harsh chemicals and detergents. Organic bedding for babies and children helps avoid exposure to toxins, especially important for their developing bodies as their cells are most reproducing during sleep. Since it’s not treated with flame retardants, organic cotton is now commonly used in baby and products made for kids. Organic cotton is usually stronger and stands up to wear and tear better than conventional fabric use chemical processing weakens the fiber. Synthetics that can trap heat and leave you feeling hot and sweaty. It’s also made without harsh dyes and colorants, which frequently contain heavy metal ingredients that make the fabric non-breathable. Some of what makes organic better for the environment is obvious – no toxic pesticides, for instance, means cleaner soil, water and air. However, by going organic with your bedding, you’re helping to fight global warming! You’re helping to protect the health of soil around the world. Healthy soil actually stores carbon dioxide, keeping it out of the atmosphere, and that stored carbon helps the soil retain moisture and nutrients. Fertile, carbon-rich soil helps more plants grow, and those plants, in turn, draw in more carbon dioxide during photosynthesis, continuing the beneficial cycle. Organic cotton uses less water and is grown without harmful pesticides, which is better for the planet and soil. Organic farming creates over 50-60% less output of carbon dioxide and other greenhouse gases than conventional cotton. So in short, your decision to go organic has an immense positive impact to you, your family and our beautiful planet. Sweet dreams.